Proud to be dedicated to local youth are James Wilkins, Eagle River Youth Coalition board president, and Daric Harvey, board member and Youth Initiatives Committee chairman. 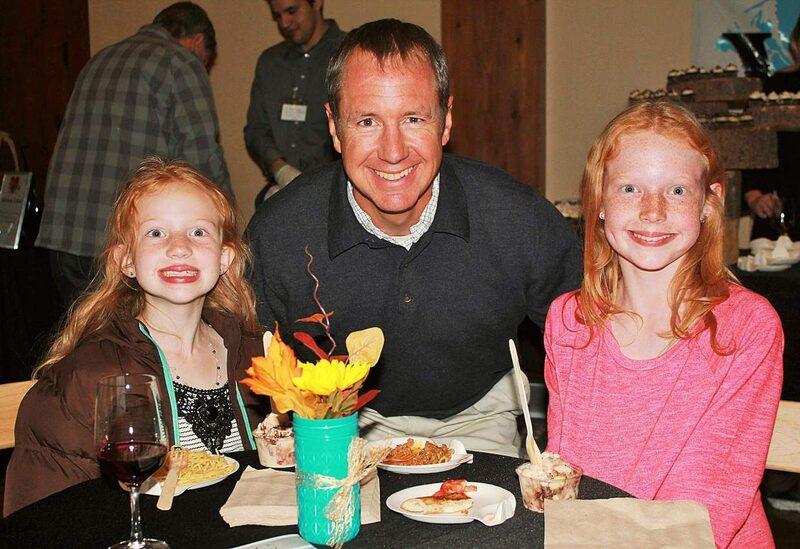 Michael Glass, president of Alpine Bank, and his daughters enjoy Valley Tastings: Food for Youth. Alpine Bank was a leading sponsor of the event and helped present the Outstanding Youth Awards. Kaiser Permanente presented the Eagle River Youth Coalition Overall Difference Maker of the Year. 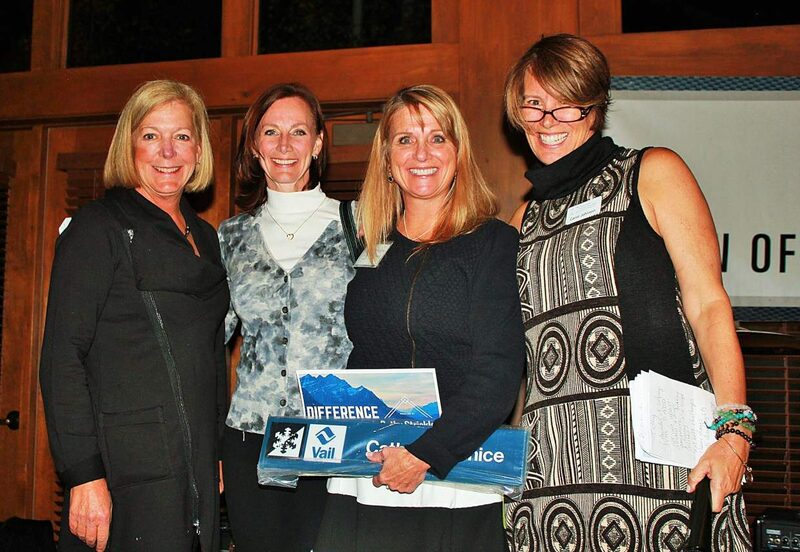 From left, Susan Fairweather, Kaiser Permanente; Kimberly Blank, Kaiser Permanente; Cathy Strickler, Difference Maker of the Year and Eagle Valley High School Devils Against Destructive Decisions Leader; and Carol Johnson, Eagle River Youth Coalition community engagement coordinator. Valley Tastings: Food for Youth attracted many local families who enjoyed delicious food, live music and an amazing silent auction. 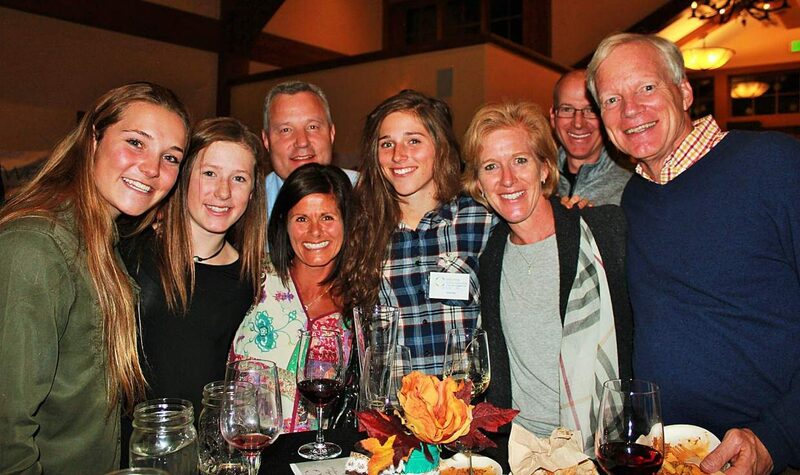 Front row, from left, Youth Leadership Council member Kendra Hoyt, Allie Resnick, Linda Hall, Youth Leadership Council member Emma Hall, Sara Resnick and Kirk Dwyer, executive director of Ski and Snowboard Club Vail. Back row is Eric Resnick, KSL Resorts and Wyatt Hall. Eagle River Youth Coalition Board of Directors, committee members and staff celebrate the 10th annual Valley Tastings: Food for Youth. 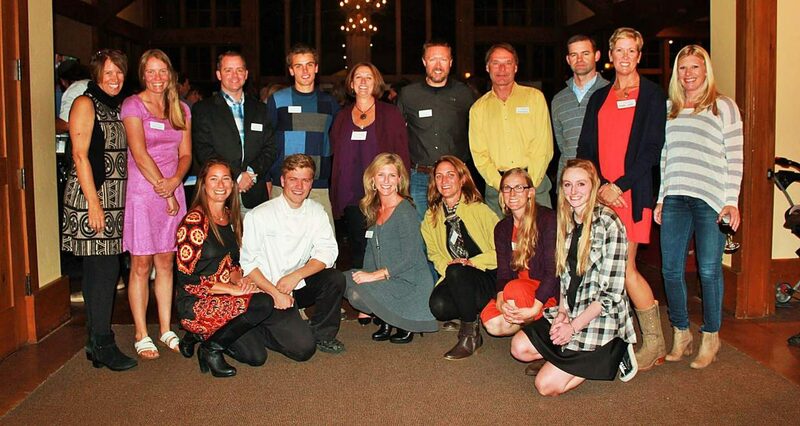 The event celebrates Eagle River Youth Coalition's mission â making youth a community priority. Back row, from left, Carol Johnson, Molly Hadley, Daric Harvey, Franklin Reilly, Katie Jarnot, James Wilkins, Andre Birjulin, Tom Pohl, Heather Hower and Kim Risi. Front row, from left, Michelle Stecher, Ryan Collins, Jennifer Coulson, Kristi Grems, Mikayla Curtis and Ruby Black. Youth Leadership Council members came out in force to volunteer for Valley Tastings: Food for Youth. From left, Zane Worrell, Tess Johnson, Katie Alonzo, Emma Hall, Michael Resnick, Jake Dippy and Kendra Hoyt. 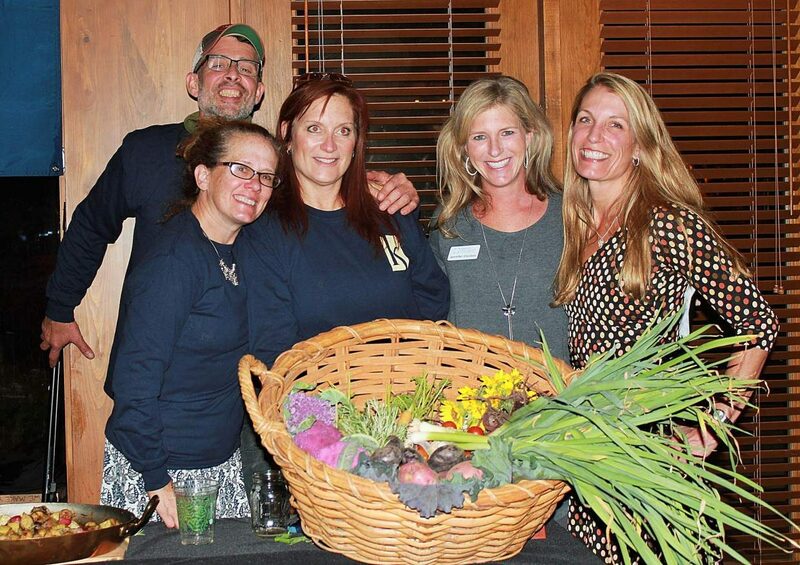 The Farm at Knapp Ranch served roasted locally grown potatoes that were picked that day and also donated a Garden Harvest as a live auction item. From left, Luis Juarez, Sandy Story, Karen Tejeda, Eagle River Youth Coalition board member and event emcee Jennifer Coulson and Sara Manwiller. VAIL — Our youth is our greatest strength. Our youth is also our greatest responsibility. The Eagle River Youth Coalition understands that. For the youth of our valley, it takes a county. This is where the nonprofit steps in, to collaborate with local organizations that support youth in coordinating programs to address substance abuse and work on programs and policies that face our youth. 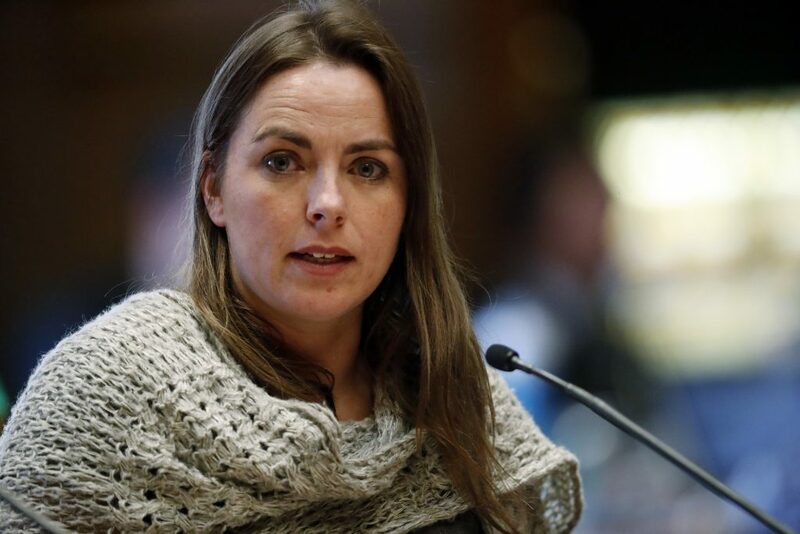 Founded in 2001 in collaboration with Leadership Vail Valley, the Eagle CARES Survey team and Eagle County, the original purpose was to look at data to measure youth behavior and perception, with the end result to figure out what could be done to fill gaps. Collaboration is the keyword — collaboration among local organizations, schools and the community, as well as youth leaders. 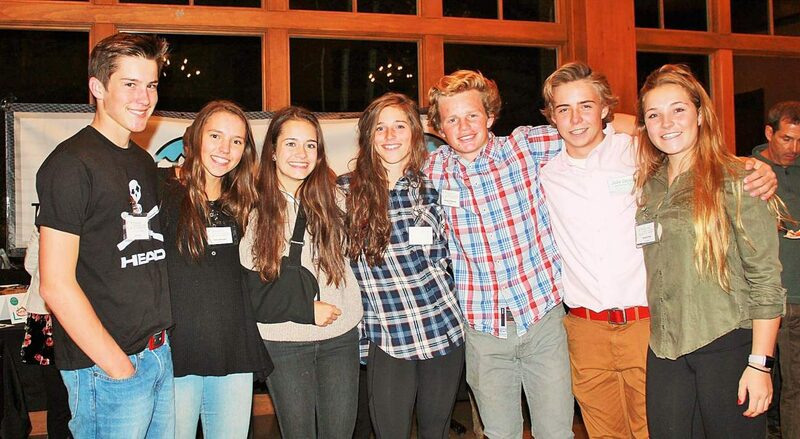 On Thursday, Oct. 6, more than 200 supporters braved the fall chill at Donovan Pavilion in Vail to attend the Eagle River Youth Coalition’s 10th annual Valley Tastings: Food for Youth. Volunteers from the Youth Leadership Council helped out. The annual event not only raises money for the organization but also honors both youth and an adult who are making a difference. Alpine Bank’s Michael Glass was on hand to present the Outstanding Youth Awards that were given to local high school students. Lydia Ruotolo won the Legacy Builder Outstanding Youth award, which is presented to a student who is a voice for his or her peers and the next generation, works hard, believes his or her efforts will pave a path for future leaders, supports opportunities and ensures the youth voice is a part of policy and decision-making efforts. Ruotolo is a junior at Battle Mountain High School and is involved with Interact Club, National Honor Society, Link Crew, Eagle County Schools district accountability, Children’s Global Alliance and Rustic Pathways. Martin Carrasco took the Summiteer Outstanding Youth award, designated for a youth who takes on leadership roles, offers new perspectives, is creative and innovative and a risk-taker, does not back down easily from challenges and whose contributions have resulted in positive change for the youth community. Carrasco is a junior at Eagle Valley High School and an Upward Bound participant and member of the EVHS Student Council, League of United Latin American Citizens and speech and debate. Jake Dippy walked away with the Positive Peer Influencer Outstanding Youth award, presented to a positive role model for his or her peers, whose actions positively shape his or her peers’ behaviors and is recognized as someone to go to for advice. Dippy is junior at Vail Ski and Snowboard Academy and is a member of Youth Leadership Council. Tess Johnson nominated Dippy for the award. Kaiser Permanente gave out the Difference Maker of the Year award to Cathy Strickler, of Eagle Valley High School’s Devil’s Against Destructive Decisions. She leads 45 members, organizing events to send positive messages, like a Seatbelt Challenge, an anti-drug night and an event during Red Ribbon Week. Several restaurants served up their best to the guests, including Beano’s Cabin, Game Creek Club, Fiestas, Splendido, Main Street Grill, Ristorante Ti Amo, Blue Moose Pizza, Batter Cupcakes and The Farm at Knapp Ranch. Several guests raved about Main Street Grill’s St. Louis ribs, Ti Amo’s pasta al forno, Beano’s sausage and creamy polenta dish and Splendido’s signature tiramasu ice cream sundaes. Local youth band The Martinellis rocked the room with classics and complemented the overall youth theme of the evening. A three-night stay with two guest rooms at four-star Monarch Beach Resort, donated by KSL Resorts, led the bidding and helped make it the event’s best silent auction results ever recorded. 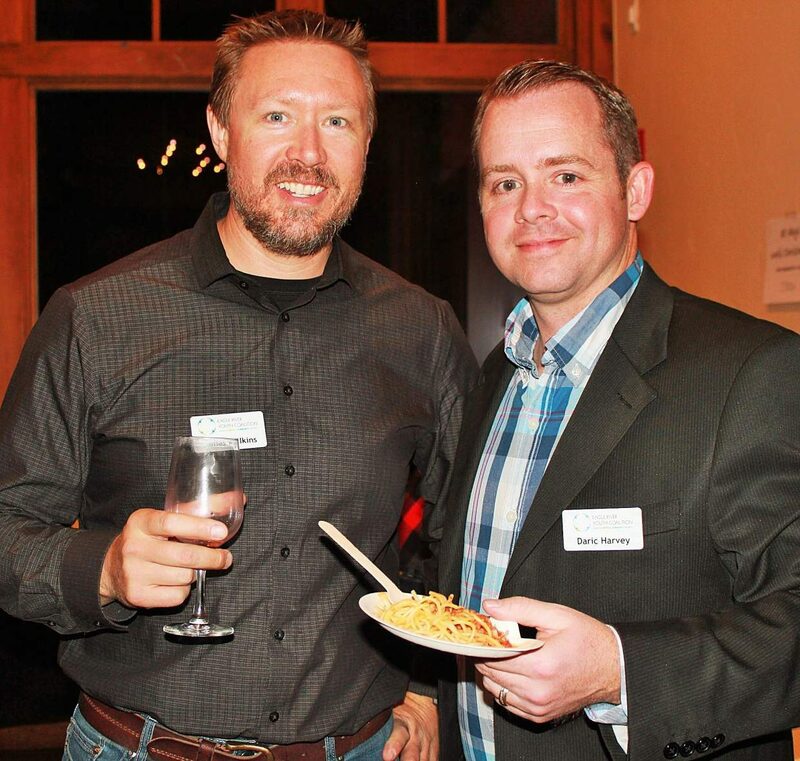 Sponsors included the town of Vail, the Vail Daily, Vail Resorts Epic Promise, Alpine Bank and Kaiser Permanente, East West Resorts, Central Rockies Mortgage, Alpine Party Rentals, KZYR and TV8. 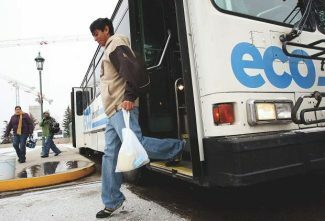 For more information on the Eagle River Youth Coalition, contact Carol Johnson, community engagement coordinator, at 970-949-9250 or cjohnson@eagleyouth.org or visit http://www.eagleyouth.org.